Even though we replaced the fan and cranked down the thermostat, the cooling of our house was not effective. After replacing the fan in the air out of the a/c outlet was around 73 F. The inlet was about 80 F. The difference was only about 7 F. Not very effective cooling. So we got another reference from our friend. We called this A/C mechanic who unlike other three was independent mechanic. He came and told the refrigerant R22 was way low and he would add about 3 pounds and see whether we receive effective cooling. Then he assured us that he would come back and check the pressure. If it was much lower than what he added then there is definite leak and we have to take other remedies other than adding R22. After calling two HVAC companies and finding out that they were busy we called a third company. The person from third company came and told us that fan was at fault. He also told us that there may be leak in the evaporator coil. But couldn’t find the leak. So we asked him to change the fan and we paid for the fan change only. 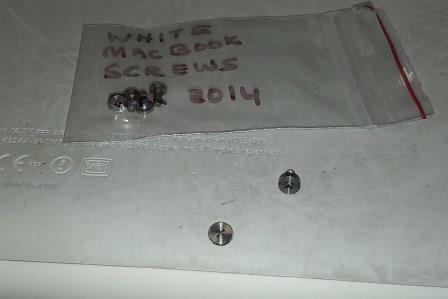 Yesterday I received the MacBook fasteners in mail. So I used regular small ‘star’ screwdriver and added the fasteners to the bottom portion of my white MacBook. This will now hold the bottom cover better. There were eight fasteners and I needed only three. I have a Windows 7 Home computer and has been with me for at least two years. 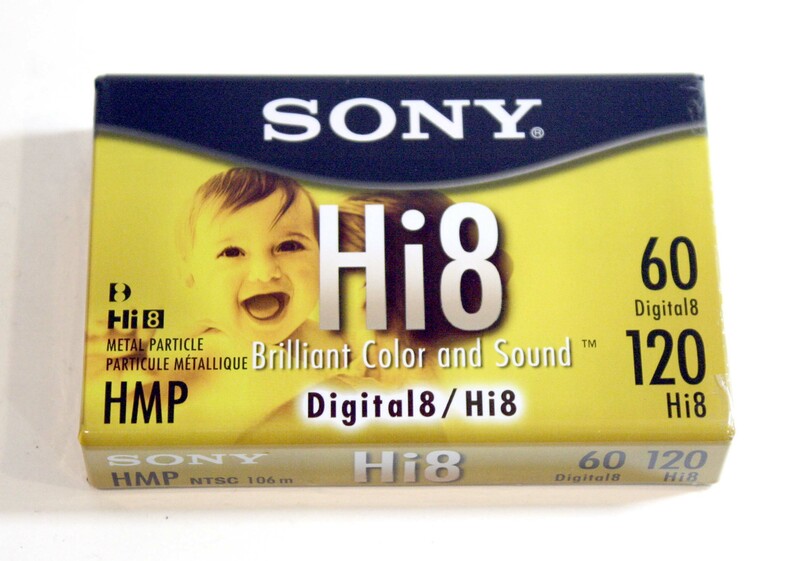 I usually use it for my home-video collection repository and so would like to add all my home-videos to it. Recently as one of my older computer stopped working and my older collection home-videos were in Sony i-Link formatted camcorders (Sony i-Link is also called, FireWire 400, IEEE 1394) I was worried about adding old camcorder 8mm-analog and 8mm-digital (D8) tape collection to a new computer. 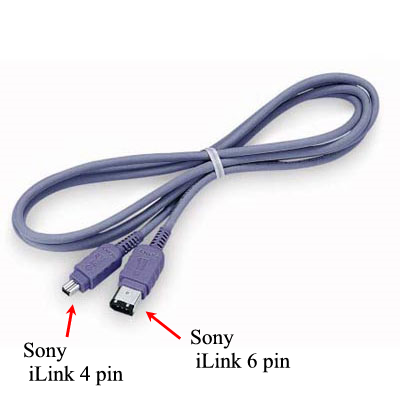 The FireWire connections have 4-pin connector on the camcorder and 6-pin connector on the computer side. Unfortunately, the new Home computer didn’t come with a FireWire port. So I went ahead and ordered FireWire 400 (aka IEEE 1394) PCI Cards from a company. Before I ordered I need to find out what my Home computer’s mother board (aka System Board) would support. 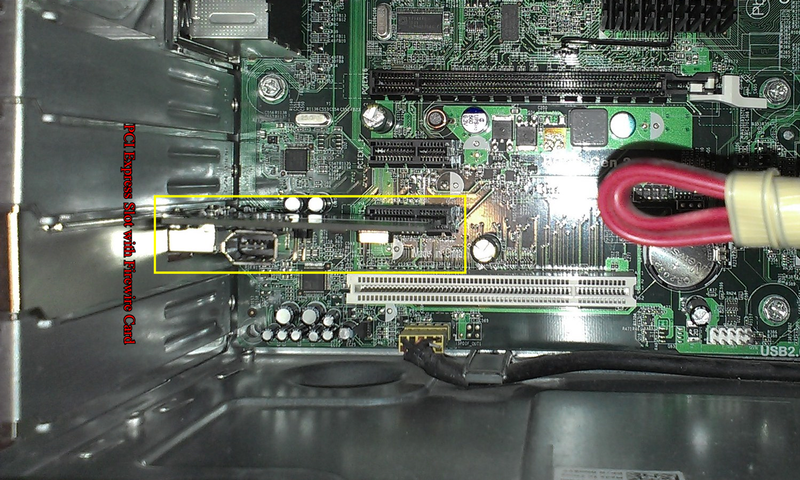 So I opened the back of my computer and found my system board has one empty PCI card slot and two empty PCI Express Card slots. This means I can get PCI Express IEEE1394 card for my computer. So I found in Raukten Shopping (formerly Buy.com) Protronix 2-Port Firewire 1394a PCI Express Controller Cards for sale and ordered them (~$14/piece). Once they arrived I opened the computer and removed the back panel and inserted the PCI Express IEEE1394a (aka Firewire 400 card) closed the back panel. 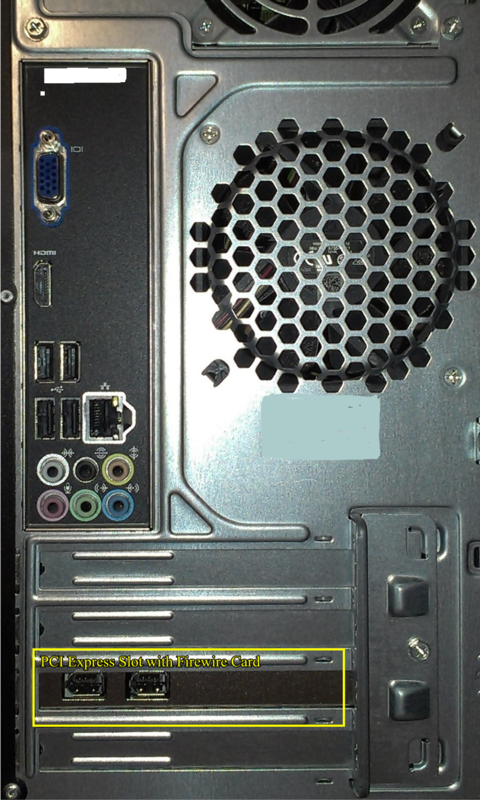 After closing the backpanel the computer is ready to accept FireWire connections. 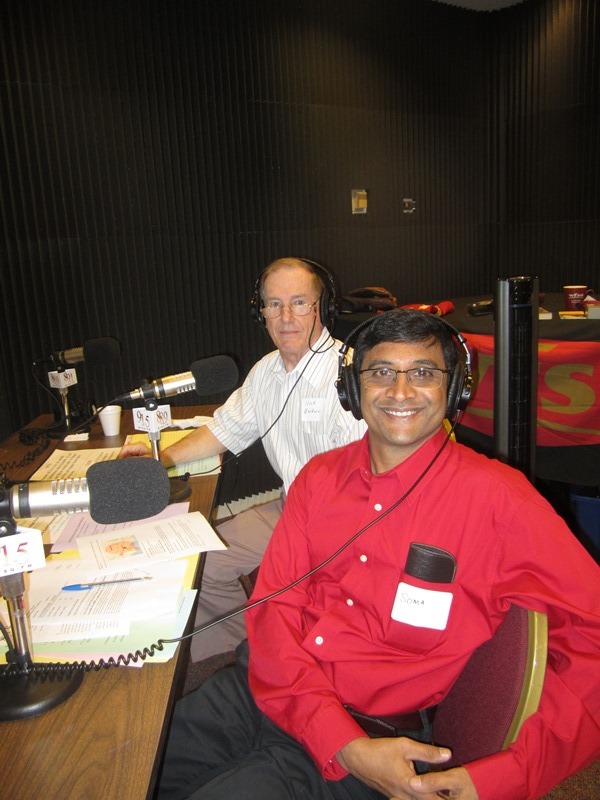 Today Nick and I arrived around 11:45 AM at 1600 Red Barber Plaza to do the WFSU Radio Fall pledge drive. We received our generic script and target of $1800 for the 2-hour shift. The audio engineer explained more details about the 2 hour slot with about 7 breaks. Some breaks were at least 8 minutes long. This was my second pledge drive for WFSU Radio. 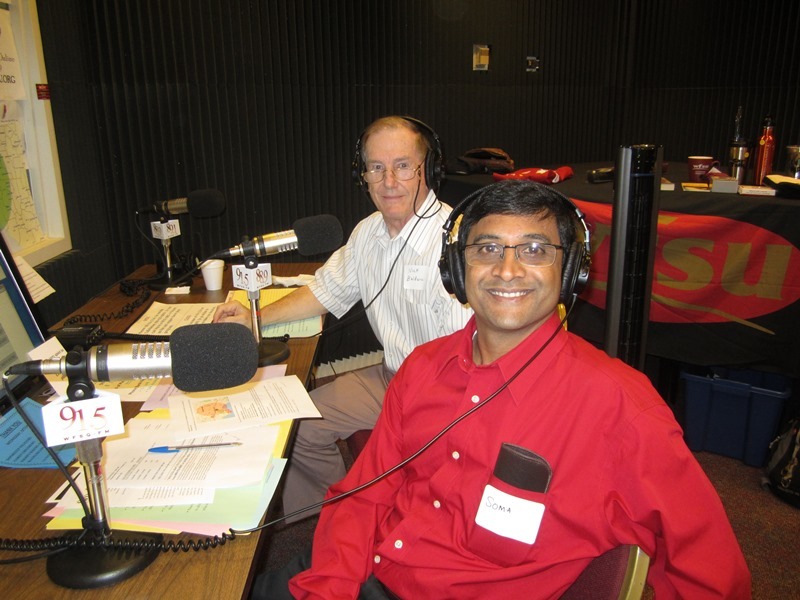 I represented Asian Coalition of Tallahassee and India Association of Tallahassee. We heard from at least fifteen callers and in total they pledged around $1600 out of our goal of $1800. Executive Committee members from Asian Coalition of Tallahassee and India Association of Tallahassee called in and pledged support. We are proud to support WFSU Radio. I have been using Picasa’s various versions in Windows 7 Home Premium 64 bit version for sometime. All of sudden Picasa Version 3.9.0 (Build 136.20,0) started to crash as soon as I launched it. Typically it would complain that some offending file with .mov extension is the problem and suggest that would I “like to hide it” or “not hide it”. Irrespective the options I selected the program will invariable crash. First, I tried to rename the offending .mov file something like .mov.1 for some other extension. Then Picasa would complain about another .mov file and on and on. So I uninstalled and got fresh download and reinstalled (couple of times; even after computer restarts; after using ccleaner; after removing even the picasa database). Nothing seemed to solve the problem. Then I noticed that in a web forum back in 2009 some one had mentioned that Quicktime was a problem and I recently added Quicktime my Win 7 machine. So I decided to remove. As soon as I uninstalled it using Revo Uninstaller and re-launching Picasa solved the problem. So I have to live with either Picasa or Quicktime (at least in one of the machines; I haven’t checked on other machines yet).